FOR EVERY GOOD WORK" (II TIM 3:17). You need to offer an array of opportunities for people to invest in their own discipleship, to build up "spiritual muscle", to "grow in the grace and knowledge of our Lord and Savior Jesus Christ". 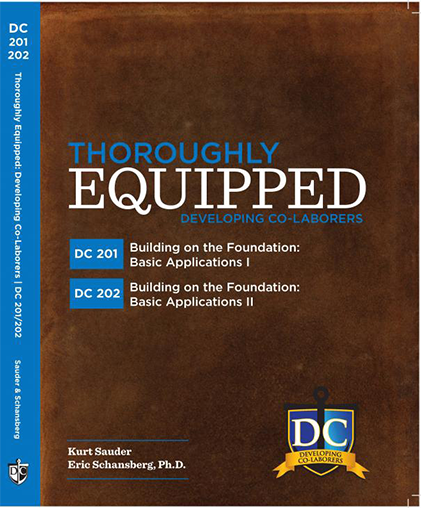 DC can be a significant part—even a capstone—of a plan to make "thoroughly equipped" disciple-makers. A primary job of church leaders is to "equip his people for works of service, so that the body of Christ may be built up". Do you share that vision? Do you have a workable plan to make that happen? What’s your plan to do ministry like Jesus and to fulfill "the Great Commission"? 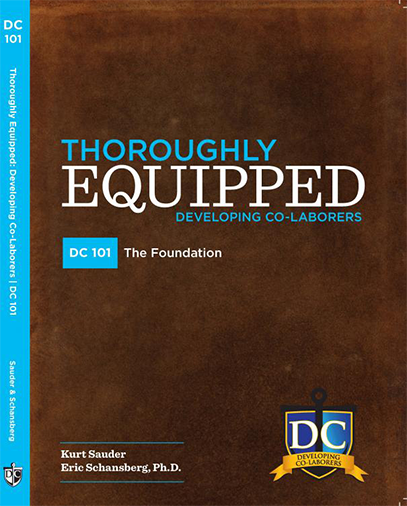 To provide the vision and equipping necessary to make disciple-makers? 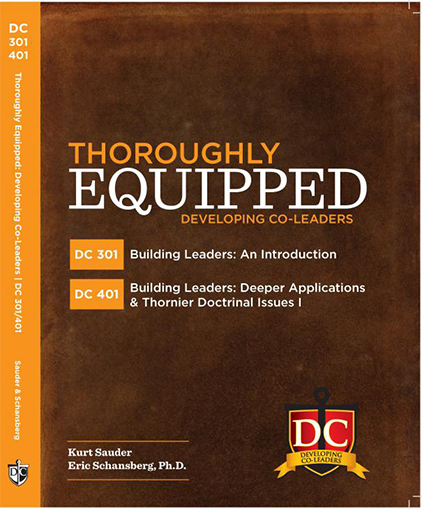 To develop competent and confident lay-leaders within your church? If these goals are important to you—and you don’t have a plan—DC may be part of the answer! 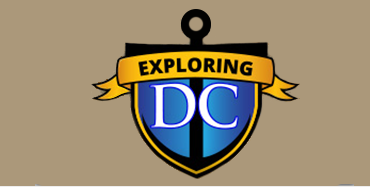 What does it take to facilitate a DC group? 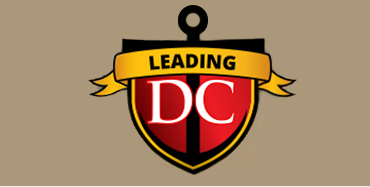 Shepherding your DC’ers; managing your time effectively; and getting everyone to participate evenly. Learn how to prepare through six hours of training videos for co-leaders. 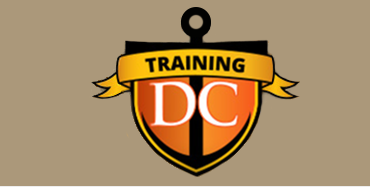 Learn how to recruit and develop people who are capable of going through DC. 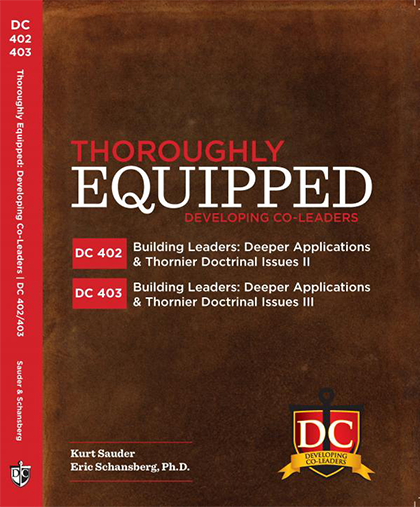 Helpful resources for leading a DC group from week-to-week: Memory Verses in male and female voices; a free 125-page Leaders Guide; a description of Key Events within DC; another hour of video training leading into DC301; helping DC’ers with their "Next Steps"; and details for Graduation. To purchase materials, please visit our new store on Further Still Ministries or click an item below.